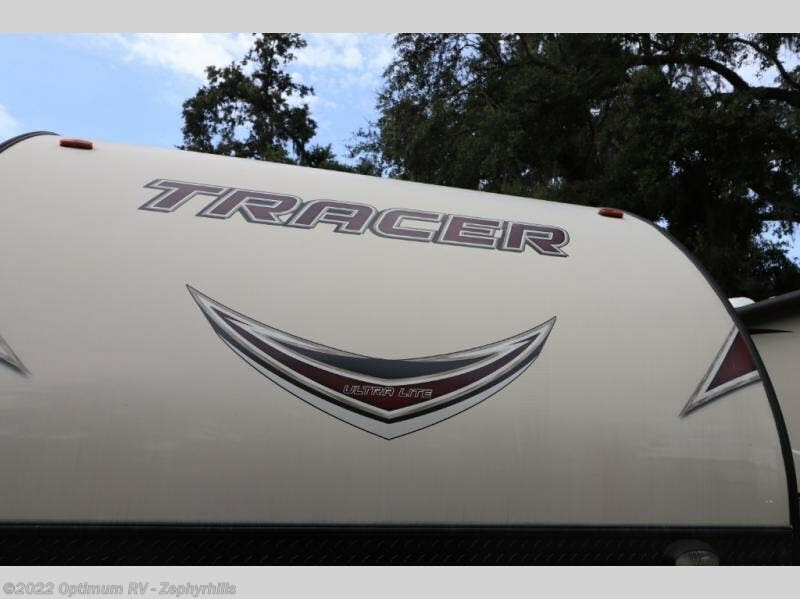 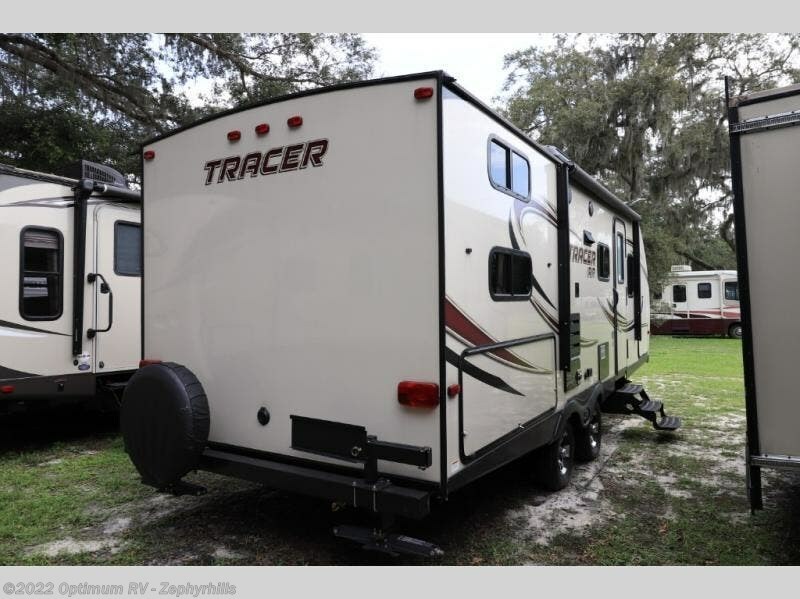 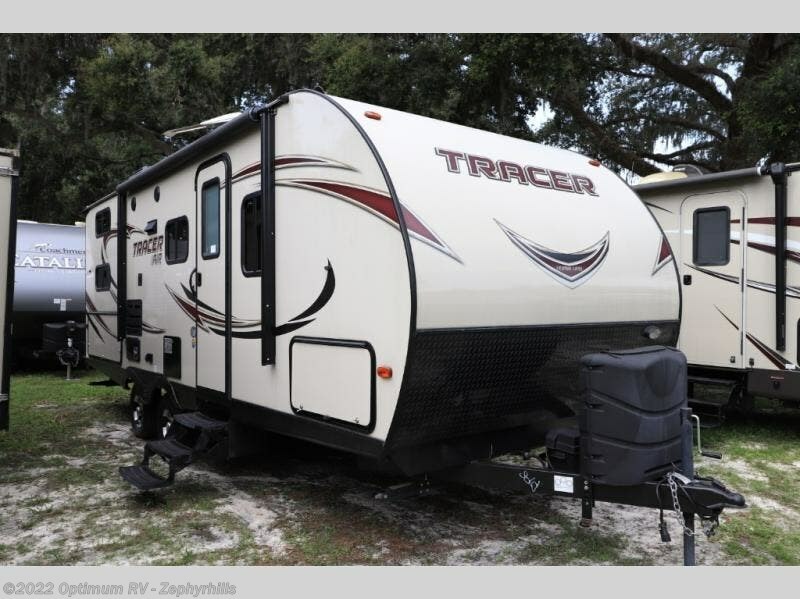 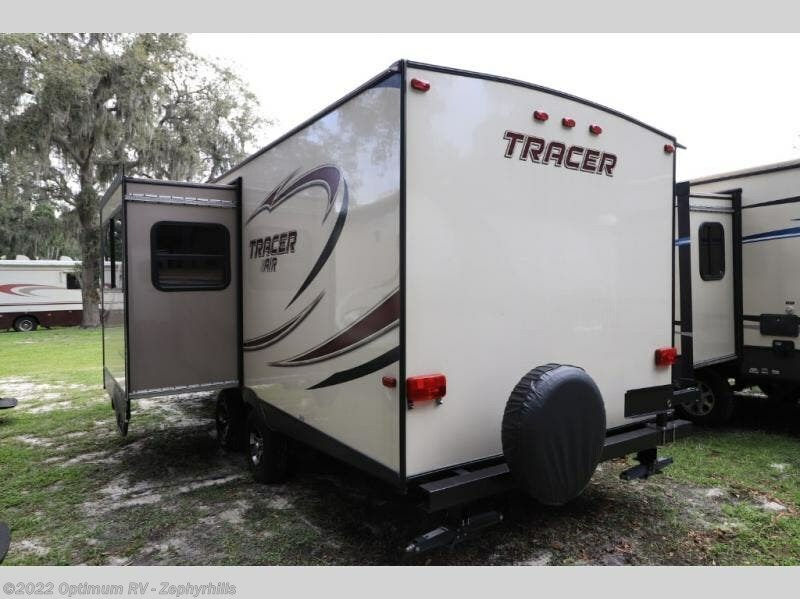 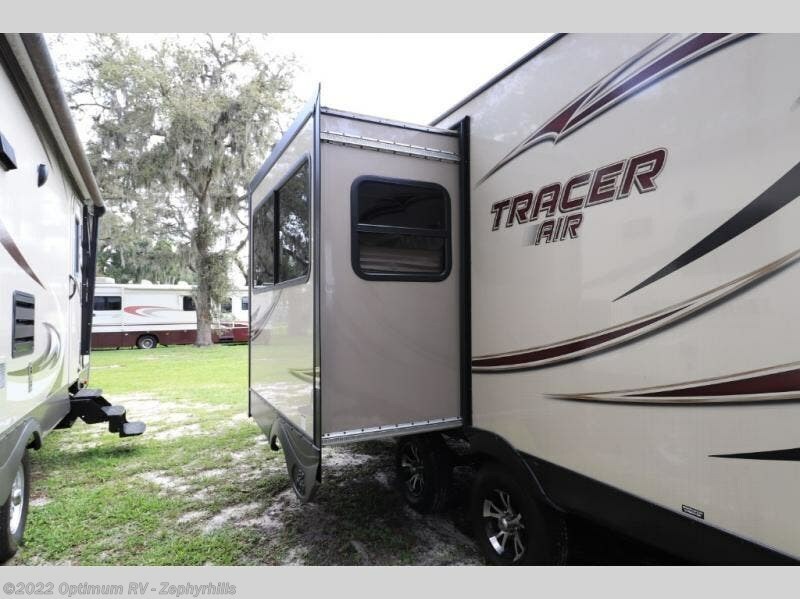 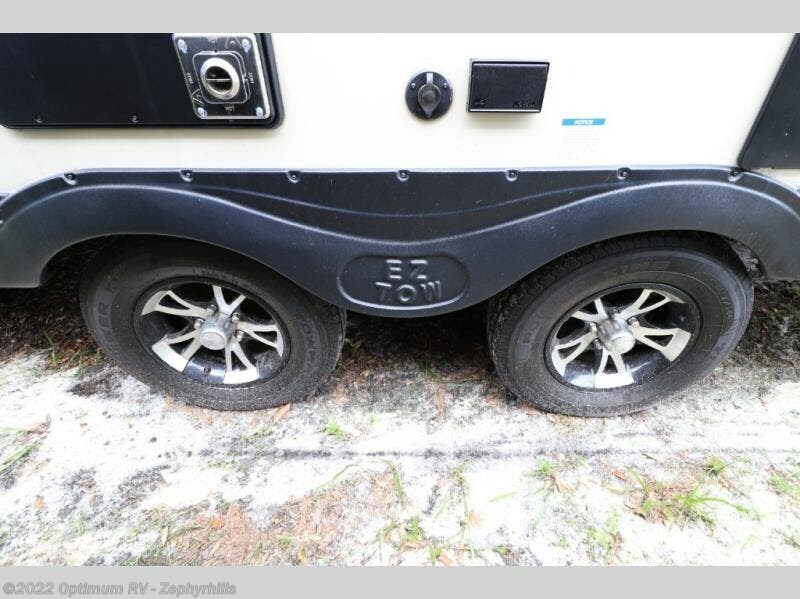 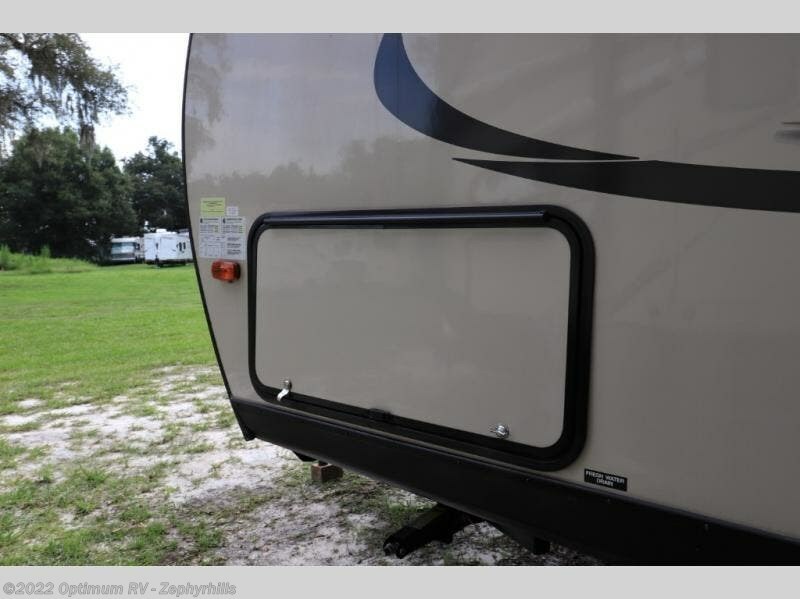 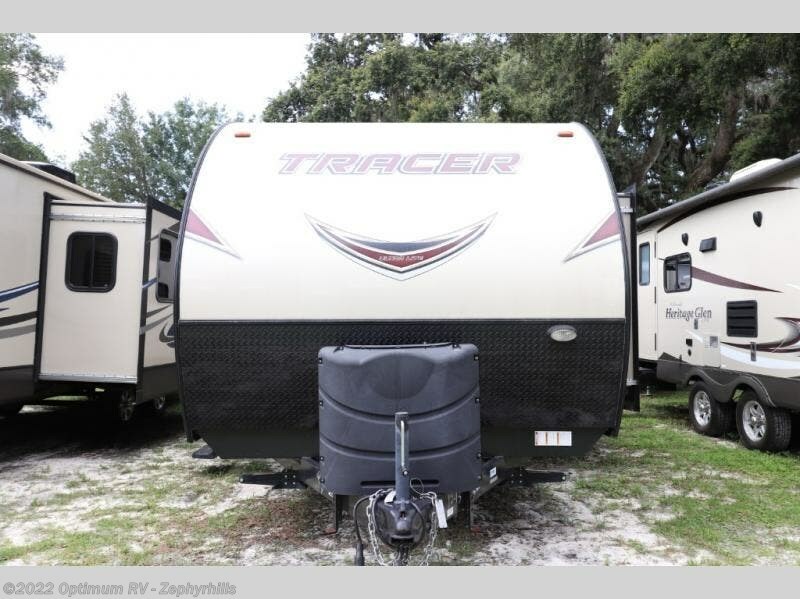 You will love the 244AIR Tracer AIR travel trailer by Prime Time RV. 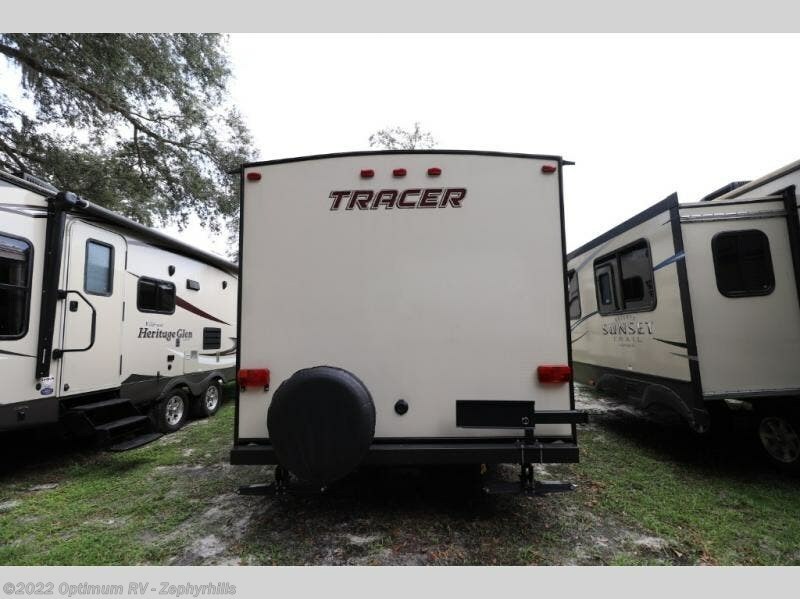 With a single slide, rear double bunk beds, and an outdoor kitchen, it is easy for the fun to continue all weekend long! 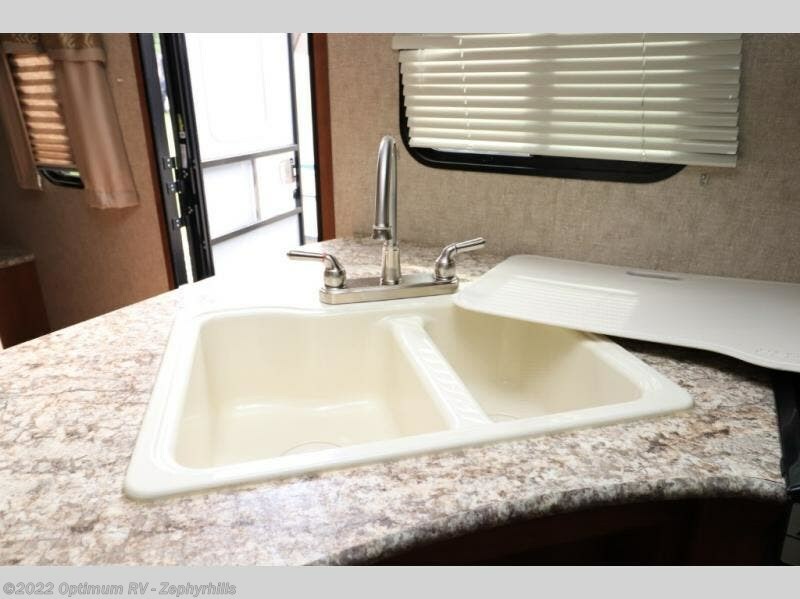 At the outdoor kitchen you can store drinks in the refrigerator, fix quick snacks at the two burner range, and clean up at the sink. 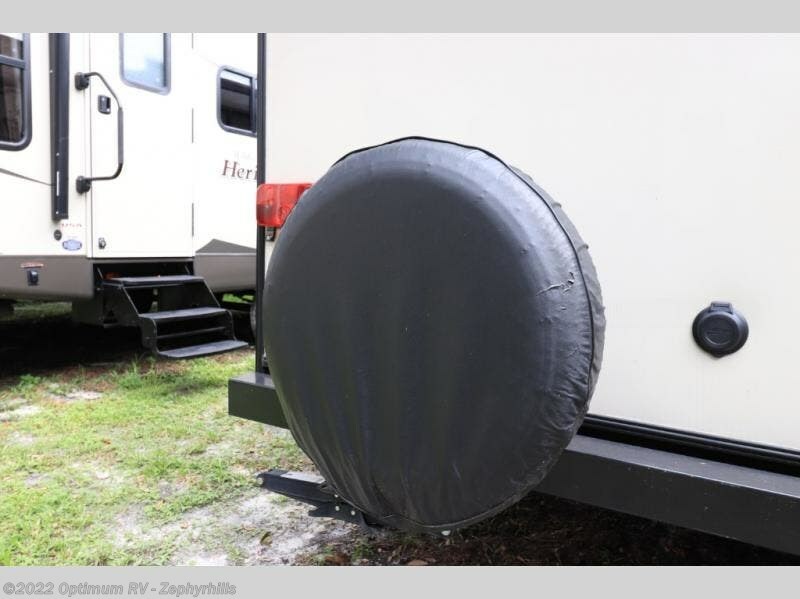 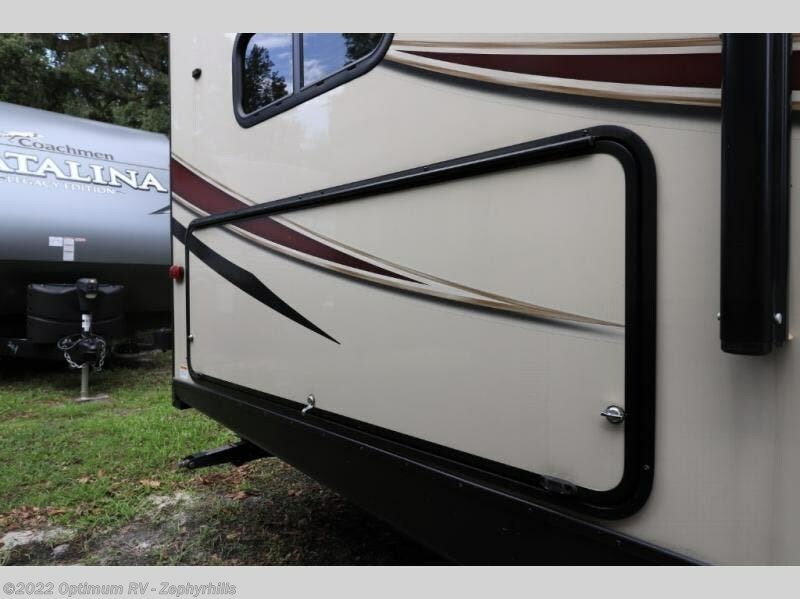 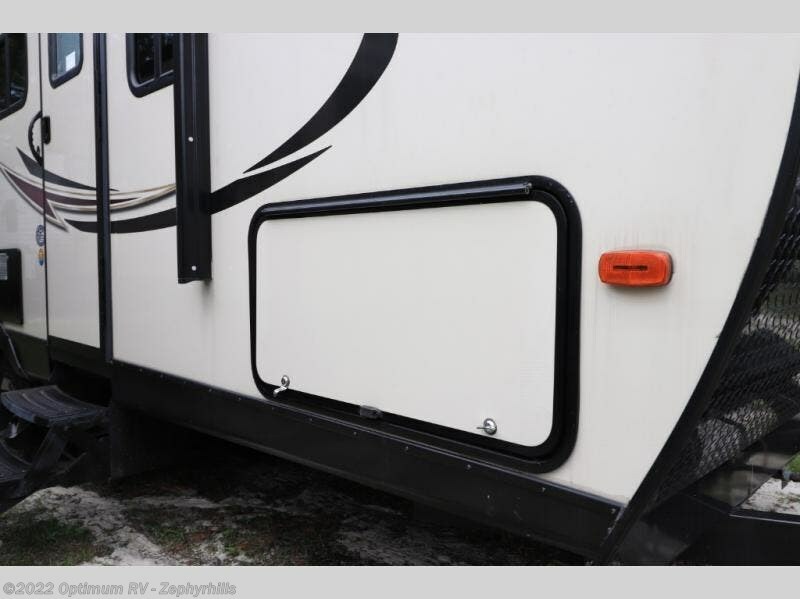 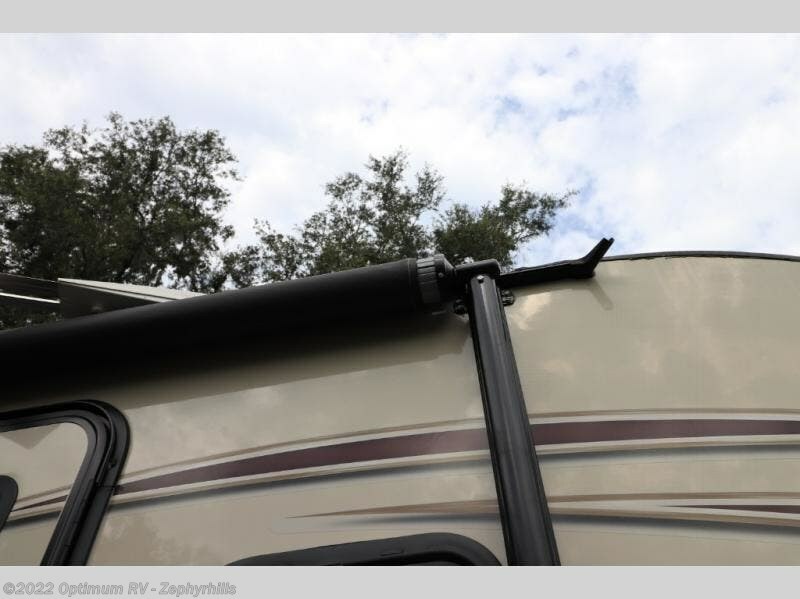 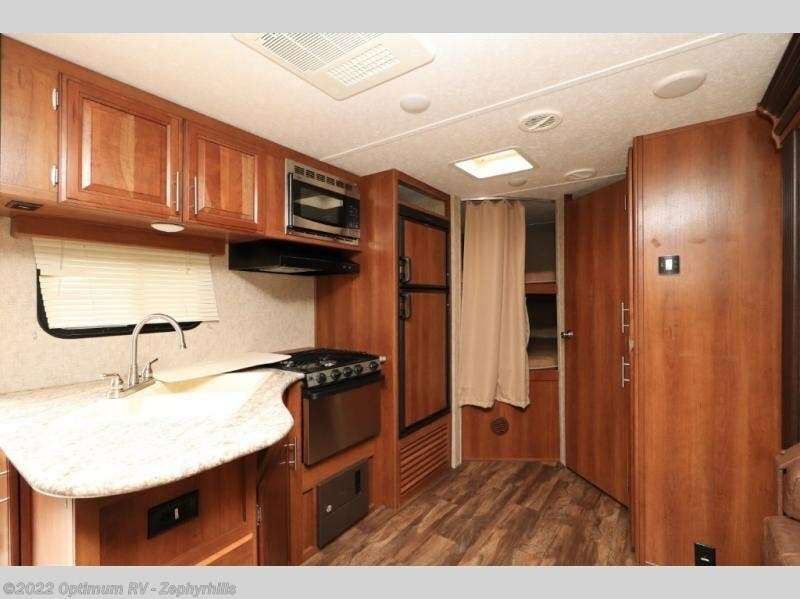 As you enter the travel trailer, there is a front bedroom with a queen bed, shirt closets and nightstands, overhead cabinets, and privacy curtains. 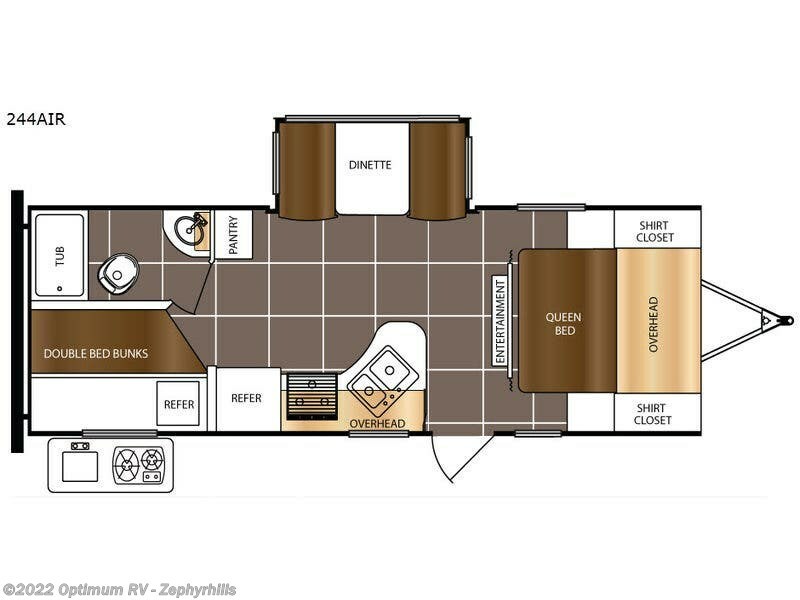 In the main living area you can enjoy watching TV on the entertainment center along the interior wall. 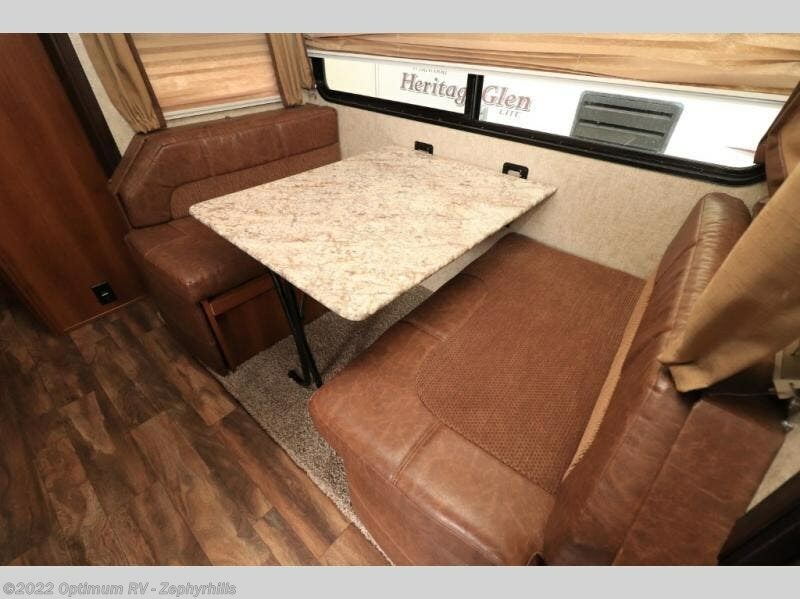 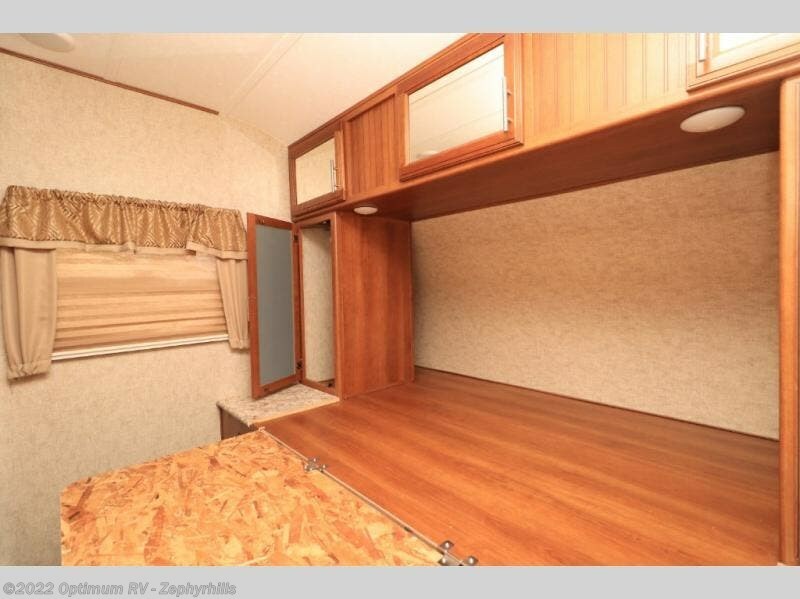 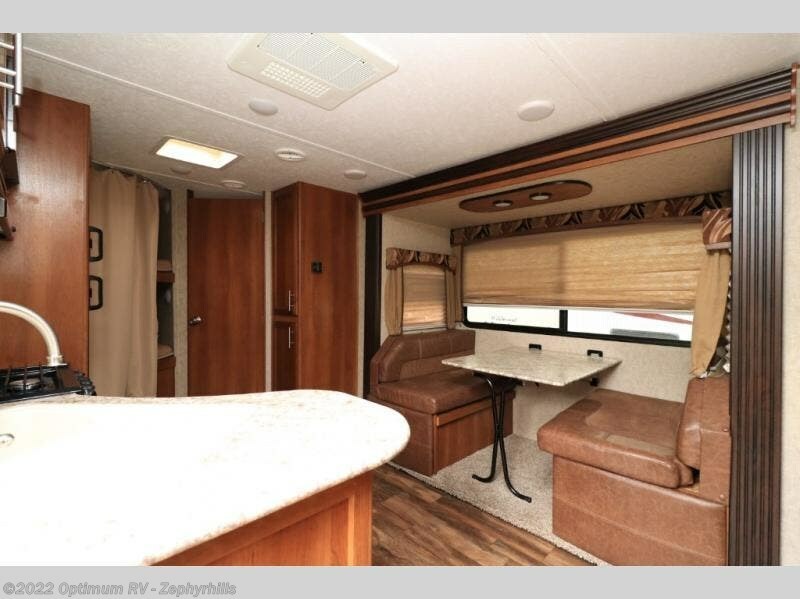 There is a booth dinette slide in the main part of the trailer which helps to open up the floor space. 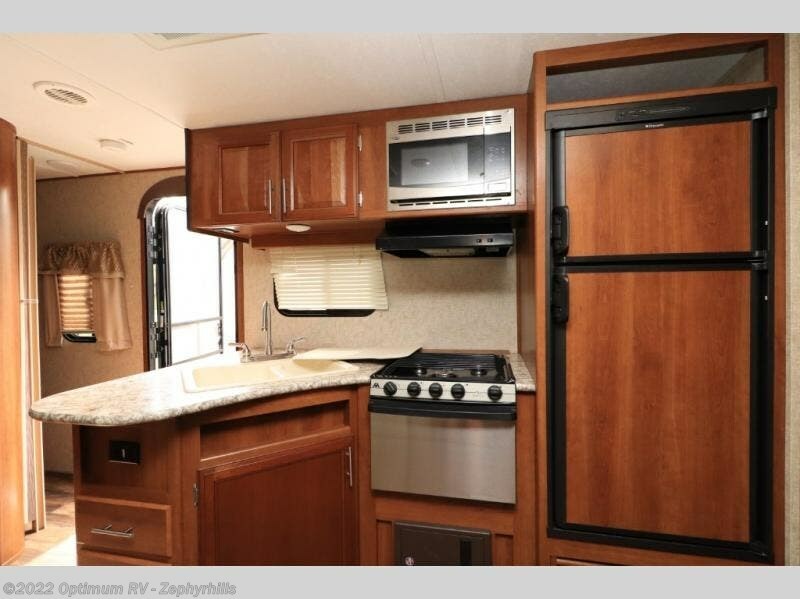 Adjacent to the dinette you will find a pantry for your dry food storage. 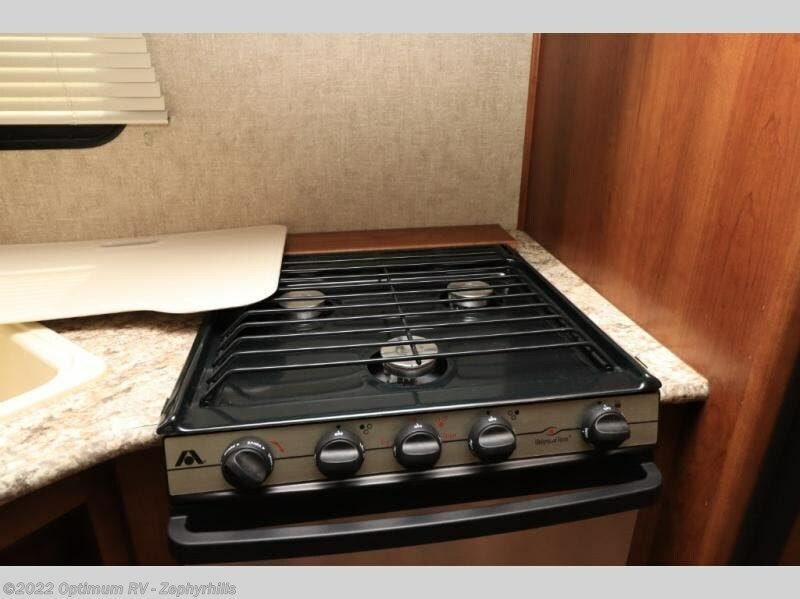 On the opposite side of the trailer there is an angled double kitchen sink, three burner range, refrigerator, and overhead cabinets. 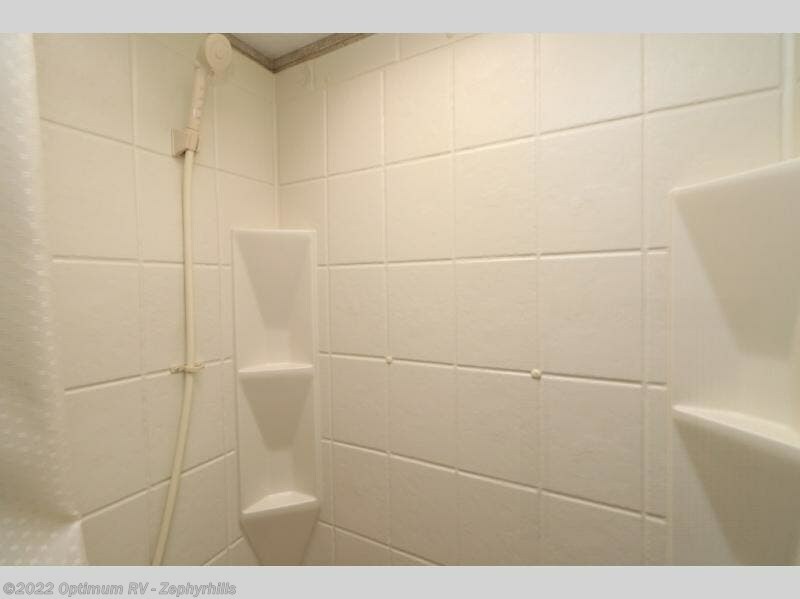 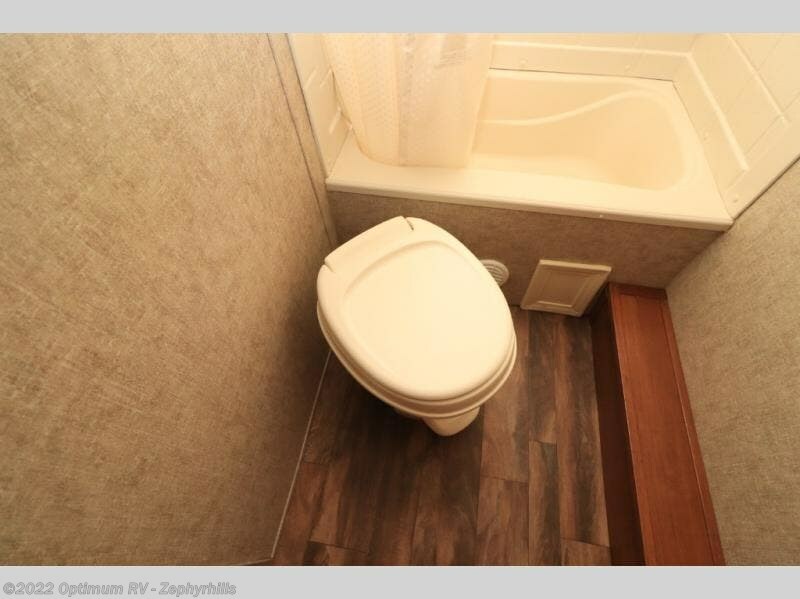 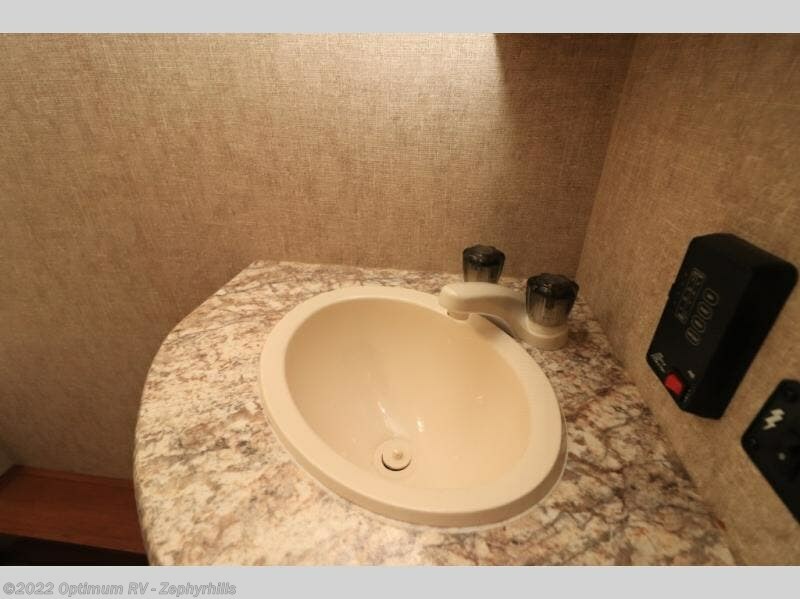 The bathroom is located in the right rear corner of the trailer. 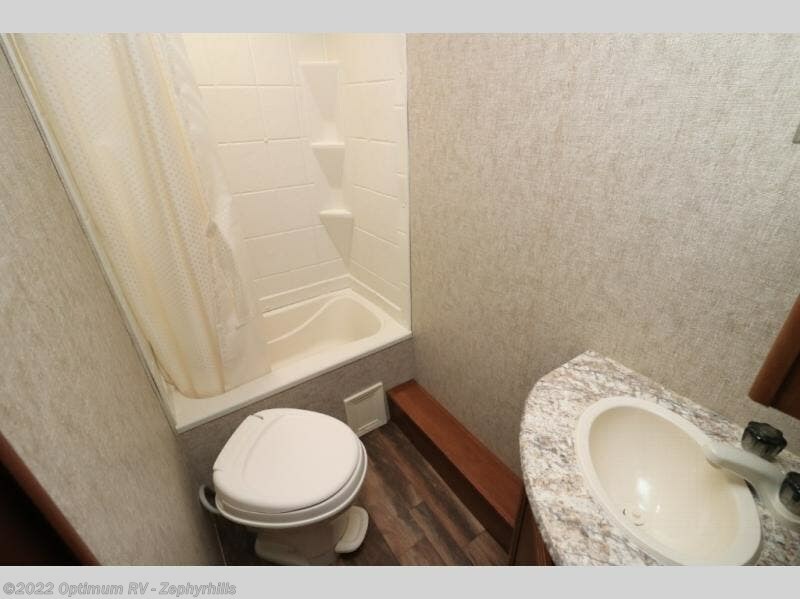 Inside the bathroom you will find a sink, medicine cabinet, toilet, and a tub. 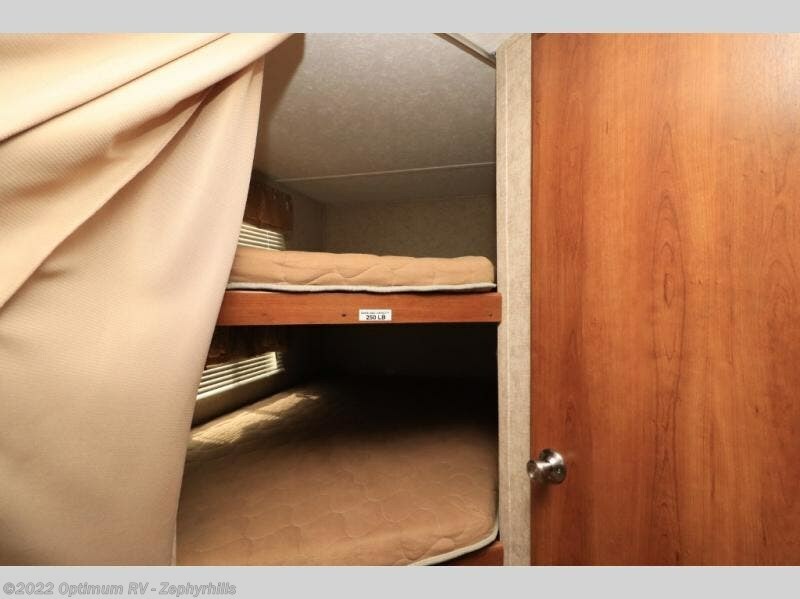 Double bunk beds are in the corner opposite of the bath. 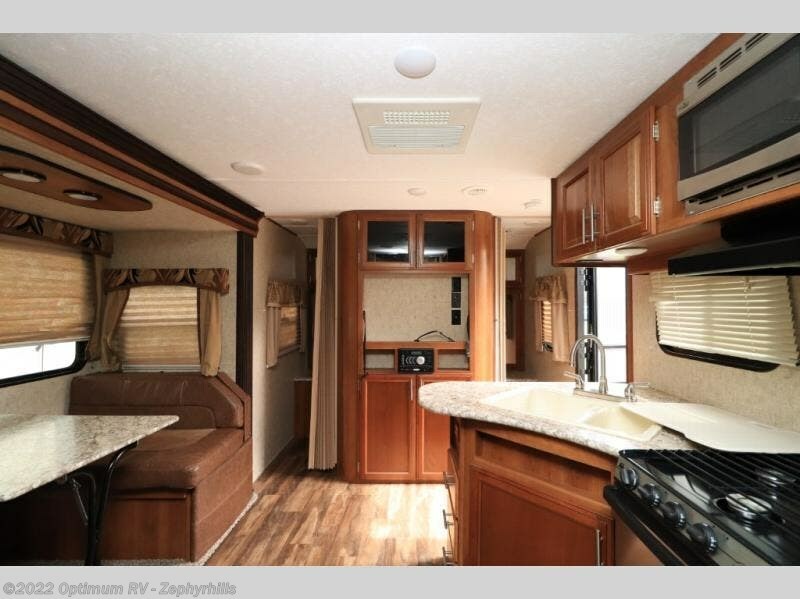 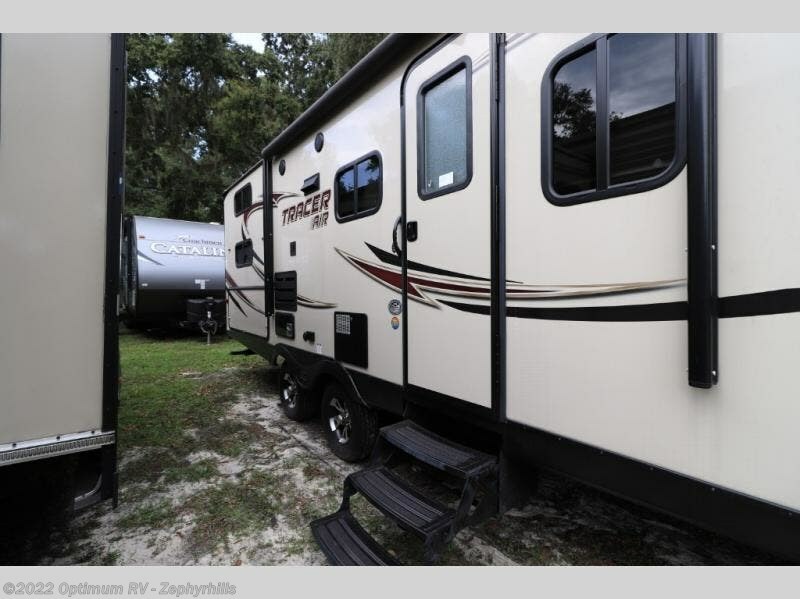 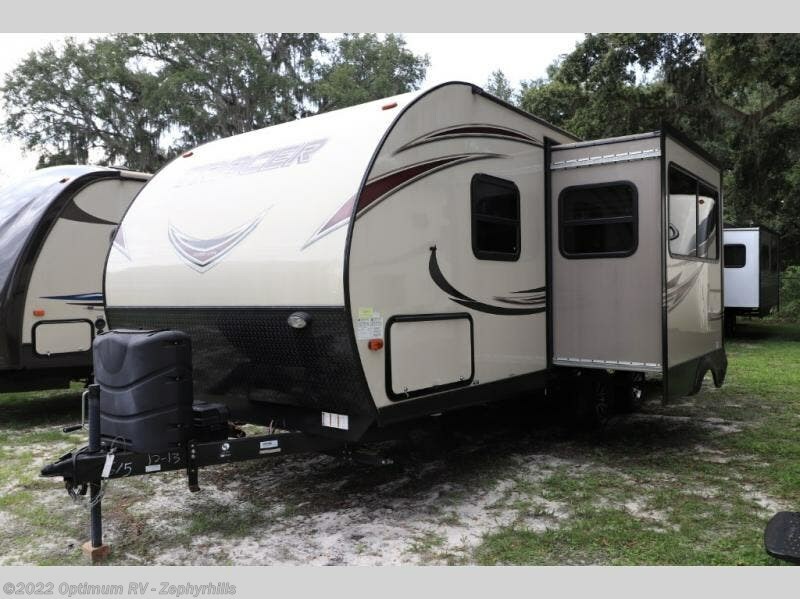 You will find plenty of storage throughout this model, and more!